Window treatments provide both form and function in your home—they can be a stylish statement, while also performing important tasks. Learn about the latest trends and functionality of popular window treatments to make a choice that works best in your home. 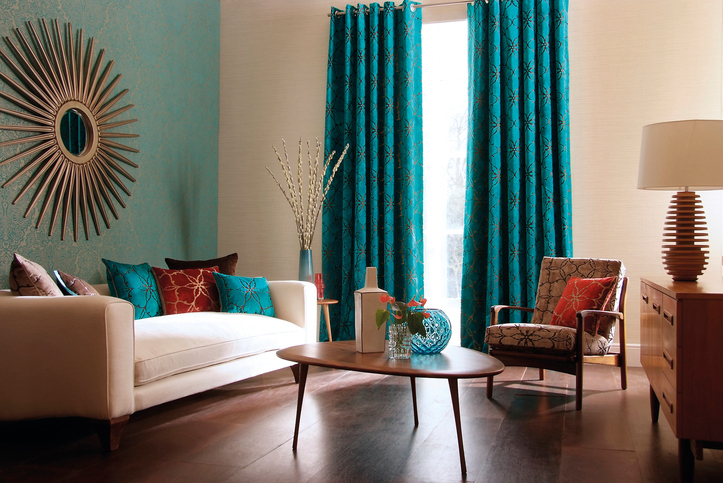 Whether you choose curtains, blinds or shades, each option provides more than just a fashion statement. Control Sunlight in Your Home: Window treatments, especially shades and blinds, provide you with sunlight control, making it easy to brighten or darken your living space. With blackout shades and curtains, you can achieve complete darkness in a room, making it conducive to a good night’s sleep. With solar shades, you can keep out UV rays while still keeping your view. Increase Your Home’s Privacy: A variety of window treatment options prevent others from looking inside your house. Today’s styles can even allow sunlight in, while still maintaining privacy. Protect Your Furniture and Household Accessories: Window treatments enable you to protect your furniture and household accessories against UV rays that otherwise may cause fading or cracking over time. Save Money on Your Energy Bills: The Department of Energy(DOE) notes awnings, blinds and other window treatments can help you reduce heat loss in winter and heat gain in summer, allowing you to cut your annual energy expenses. Show Off Your Personality: Want to reinvent your home’s décor? Window treatments are available in a variety of colors and designs, ensuring that you can bolster your home’s décor and show off your personal style. Gone are the days of only choosing between plain roller shades and ornate drapes. Now there is everything in between, so you can go with an option that matches your home’s décor. Faux Wood Blinds: Faux wood blinds replicate the appearance of wood perfectly and are available in a variety of finishes and styles. They are available at a fraction of the cost of their wood counterparts and offer superior moisture resistance for long-lasting durability. Unlike traditional wood blinds, faux wood varieties consist of a synthetic material that is easy to clean. That way, you won’t have to worry about allocating significant time and resources to keep faux wood blinds looking great. Patterned Drapes and Shades: Window treatments that feature stripes and bold prints have become exceedingly popular over the past few years, and it is easy to understand why. As homeowners search for ways to reinvent their living spaces, patterned shades and curtains allow property owners to go bold with their décor without having to worry about breaking their budgets. Silk Panels: For those who appreciate the finer things in life, there may be no better option than silk panels. While silk panels may prove to be more expensive than many other window treatments, they can bring a touch of luxury and sophistication to a setting’s décor instantly. Options abound with silk panels that consist of embroidered silks, plaid silks and jacquard paisley designs represent timeless choices for homeowners who want to create an elegant living space. When combined with shades or blinds, panels can provide style as well as privacy. Environmentally-Friendly Window Treatments: Did you know that some window treatments can help you fight off allergies? Environmentally-friendly window treatments that consist of mildew-, mold- and stain-resistant fabrics are gaining popularity among allergy sufferers nationwide. Allergy sufferers can reap the benefits of “green” window treatments without having to sacrifice their personal style. Environmentally-conscious homeowners also can choose shades and curtains that feature non-toxic dyes and fabrics. Honeycomb Shades: Honeycomb shades consistently rank among the top window treatment options for homeowners. These shades deliver superb insulation and noise reduction, along with light-blocking and light-filtering capabilities. Plus, top-down and bottom-up honeycomb shades are available for supreme light and privacy management. Honeycomb shades come in numerous pleat sizes and can be paired with drapes to maximize style and privacy. Today’s options can fit into any style and budget. Maximize style, efficiency and privacy with a combination of today’s most popular window treatments.